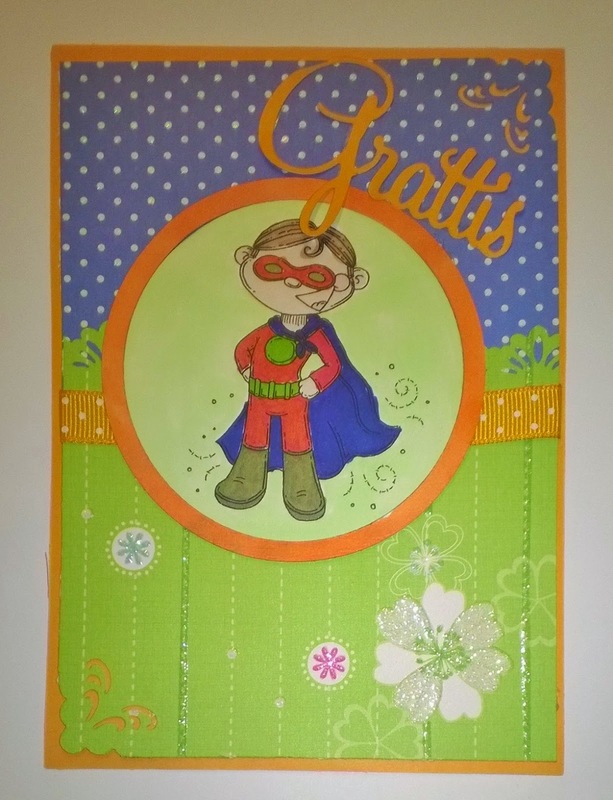 My Superboy flies into the following challenges: Meljen's (Seeing Spots), Sketch Saturday, Cute Card Thursday (Fancy Corners), Simon Says Wednesday (ATG), Inspiration Destination (ATG) and Passion for Promarker (S is for Spots, Superboy and Sentiment). Such a cute card. Love the colours too. Thanks for joining us this week at Inspiration Destination. Good luck. Such a cute card and your image is fabulous! Perfect for a little boy's card! Thank you for joining in the Sketch Saturday Challenge this time. Hope to see you again. Such fun bright colors on this card! Perfect for Little Superhero! Thank you for joining us this week at Meljen’s Designs for our Seeing Spots challenge!